This year we are offering a little treat to those bringing a big tribe of their own to Starry Skies Edition Seven. If you’re coming as a group of ten or more adults (not counting the kids!) you’ll qualify for your very own Camp Circle! This means you can sign yourself up for a guaranteed camping spot with your friends and family, and will receive a complimentary bag of fire wood and bottle of prosecco on arrival. What’s more, your tenth ticket is FREE! What is a Camp Circle? A Camp Circle is a pre-marked area which guarantees an appropriately sized camping spot for groups coming along to Starry Skies together, even if you’re arriving separately. 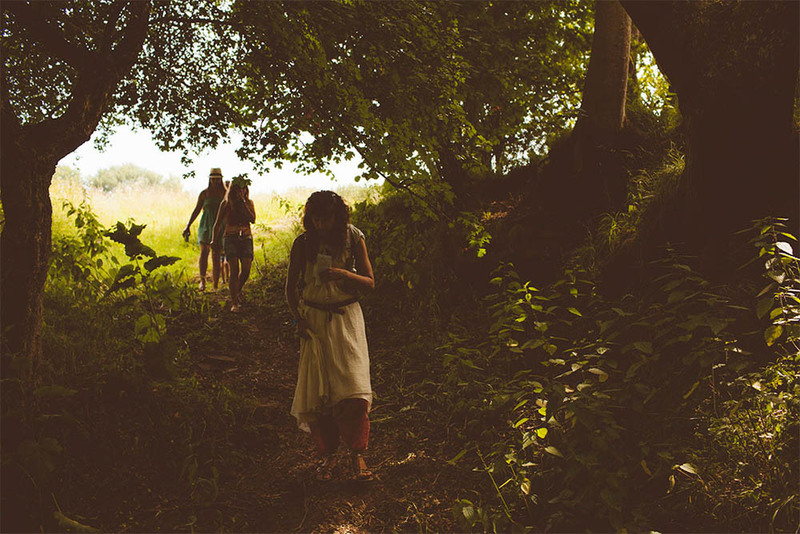 When you get to our farm you’ll be directed to your Camp Circle by our delightful stewards. We’ll throw in a bottle of fizz and a bag of firewood, so you can start the holiday as you mean to go on! The number of Camp circles we are able to accommodate are very limited due to space constraints so get in there quick – when they are gone they are gone. You’ll need to let us know if you’ve got a clan of 10+ adults together to bag yourselves a Camp Circle. We only have a limited number of them on our intimate campsite, so it’s first-come-first-served. ⭐️ If you book your tickets over the phone (through the Ticket Sellers on 0121 472 6688) give your Camp Leader’s name when booking to become a part of their circle. If you’re booking online from our ticket page (here) call the Ticket Sellers on the number above after you have booked, to give your Camp Leader’s name. ⭐️ Once the 10th adult has booked and your free ticket issued, a circle name will be emailed to everyone in that group. Make sure you save this name somewhere, you’ll need it later! ⭐️ Upon arrival at Starry Skies, give your circle name to our lovely gate crew and you will be directed to your own pre-marked Camp Circle! ⭐️ Enjoy your free bottle of prosecco and bag of fire wood, kick back and relax! WHAT IF YOU’VE ALREADY BOOKED AS A GROUP OF 10 ADULTS OR MORE? Don’t you worry, you can still take advantage of this offer – The Ticket Sellers can refund one of your existing adult tickets. Nominate your Camp Leader, who can then call The Ticket Sellers with a full list of the names of the adult ticket buyers making up your Camp Circle. They’ll then sort a refund for one of your existing tickets. WHAT IF YOU’RE A SMALLER GROUP THAN 10 ADULTS & WOULD LIKE A CAMP CIRCLE? We’re truly sorry but we just aren’t able to accommodate this. Though we have tried to accommodate pre-allocated pitches for smaller groups in the past, as this becomes more popular and more and more small groups request this, it just isn’t feasible for our small team – we’d be at risk of pre-allocating the whole site. We’re genuinely sorry for any disappointment, and hope you can band some more of your pals together to join you and up your numbers. If you can’t, but are very keen to camp together, we recommend co-ordinating your arrival so you arrive in convoy, or as close together as you can – that way you should be able to all pitch up together without issue.